Leaders face a whole host of issues when trying to implement new projects in their organizations, but one of the most pervasive and difficult issues to address is the infamous “sacred cow.” Without rounding up these bellicose bovine, improvement efforts are doomed to fail because, in addition to the difficulties of solving whatever technical or business challenge your improvement effort is attempting to address, sacred cows can call a number of devoted personnel from various areas of the organization to their defense, either due to a fear of change or perhaps a vested interest. In any case, the difficulties faced when dealing with sacred cows are compounded by the fact that they are not all created equal and that each must be handled in a different way. Here we will look at three of the most common sacred cows, identify where they are most often found, and examine what attitudes and cultures enable them. Moving up the organization is when you’ll run into this next sacred cow. They are most often seen at middle management and junior executive levels where the people who worship them tend to be leaders who have cut their teeth in that space and view themselves as exclusive SMEs. But the most important thing about spotting this sacred cow is that what may appear to be a sacred cow may not be one at all. It is very possible that when someone says, “My business/org/whatever is so unique, you just don’t understand” that they are right, and that there are perfectly justifiable and specific reasons for this particular product or process to exist in the unique way that it does. So before trying to pull the halo from this sacred cow, it is important to perform the proper due diligence and vet the claim. Finally, at the tip-top of the organization, we find the most sacred of the sacred cows: the “Holiest of Holies” cow. This stubborn bull is worshiped by the most senior people in the organization and finds sanctuary in the fact that it is generally comprised of entire product lines or departments and is therefore supported by its very own budgets, career paths, and quite a bit of political prestige. This sacred cow can almost seem tumor-like, not just in how difficult it is to identify where it stops and the healthy parts of the organization begin, but also in how dangerous it can be to deal with. Tread carefully! Of course, identifying the problem is only the first step of many, but it is a very important one. After you’ve identified the sacred cow you’re up against, you can start to plan on how to deal with it. Will hands on experience with new processes or ideas be enough to demonstrate benefits and encourage adoption? Maybe picking another department that is more ready for change and proving the concept on them first can help. Other times the solution requires a top-down approach and expenditure of much political capital to persuade the right followers, but then the question becomes: is the cost worth the benefit? The solutions will vary depending on the organization and their sacred cows (these were just a few of the more common ones we have bumped up against while working with our clients). 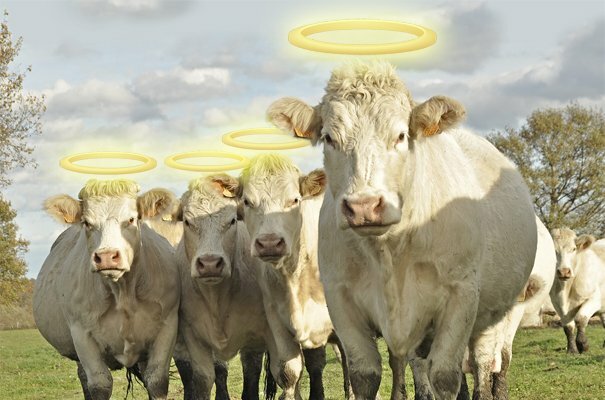 We know there are certainly many more types of sacred cows out there and just as many ways to deal with them, so we’d love to hear from you about some of the sacred cows you’ve run into and about your preferred method for herding them! After all, there is always more than one way to skin a cow (I think that’s how the saying goes).